You are buying the Mabis DMI Deluxe Inflatable Bed Shampooer which is manufactured by Mabis DMI. Mabis is a leading manufacturer of Daily Living Aids. At ADW Diabetes, we offer the complete product line by Mabis with great savings and excellent service. Deluxe inflatable bed shampooer is Ideal for bed use. It is easy to inflate and clean and has heavy-duty vinyl construction. 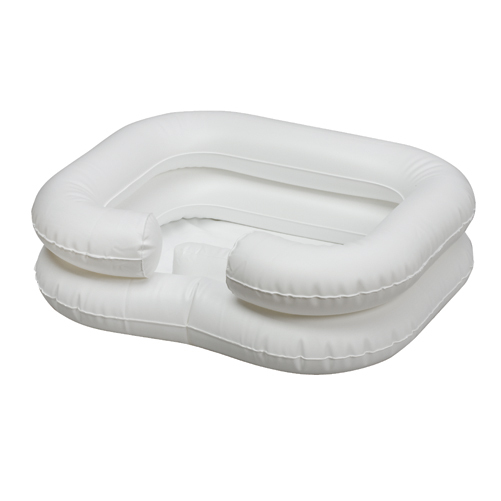 The inflatable shampooer measures 28" wide, 24" long, 6" deep. Includes 28" drain hose for easy draining.